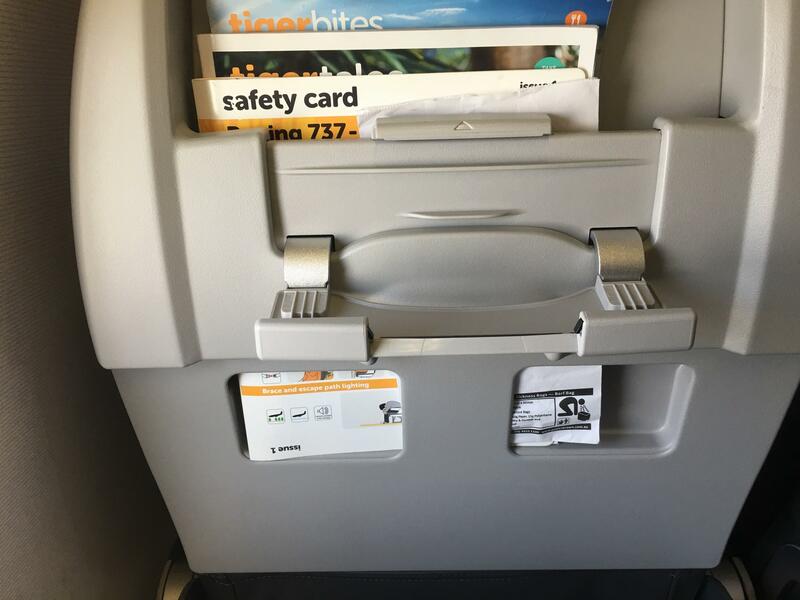 This review takes a look at my recent flight with Tigerair from Hobart to Melbourne. Tigerair Australia is a low-cost carrier that is fully owned by Virgin Australia. They operate out of 12 destinations around Australia, utilising a fleet of 15 aircraft. Along with airlines such as Scoot and Cebu Pacific, Tigerair is a part of the value alliance, the world’s largest low-cost carrier alliance. 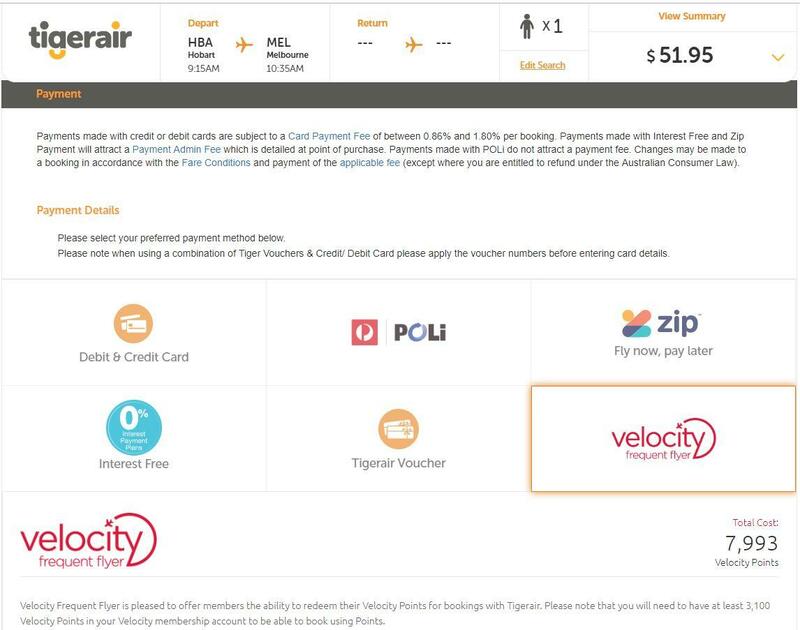 You can not earn Velocity Points or status credits for flying Tigerair, however, you can book Tigerair flights with Velocity Points. Currently, Tigerair Australia operate 4 Boeing 737 aircraft in addition to A320 aircraft, however, they plan to transition to an all B737 fleet over the coming years. Tigerair operate out of 12 destinations around Australia, as shown below. The B737 is used on routes such as Melbourne to Perth, Brisbane to Melbourne and Sydney to Melbourne. 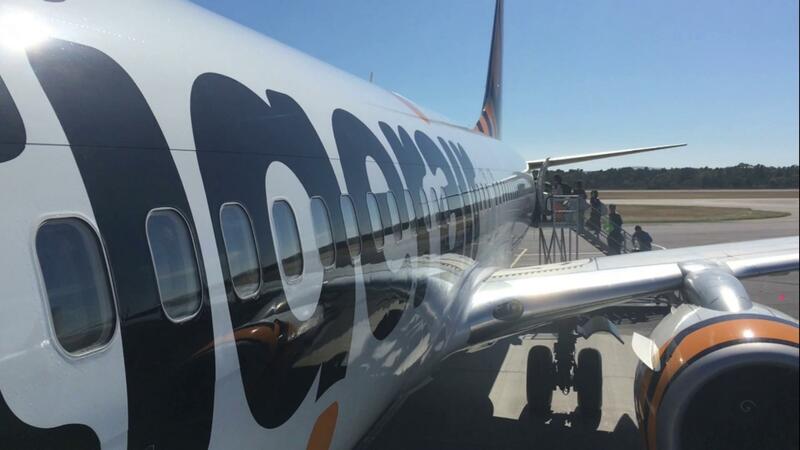 Tigerair operate 1-2 flights per day from Hobart to Melbourne, using both Boeing 737 and Airbus A320 aircraft. The aircraft features an all economy layout with 180 seats in a 3-3 configuration. Standard seats have a pitch of 30″ and width of 18”. The seats are made of leather and offer good comfort, featuring a great adjustable headrest. In my opinion, the comfort offered by these seats is almost as good as that of Virgin Australia’s B737 economy seats. 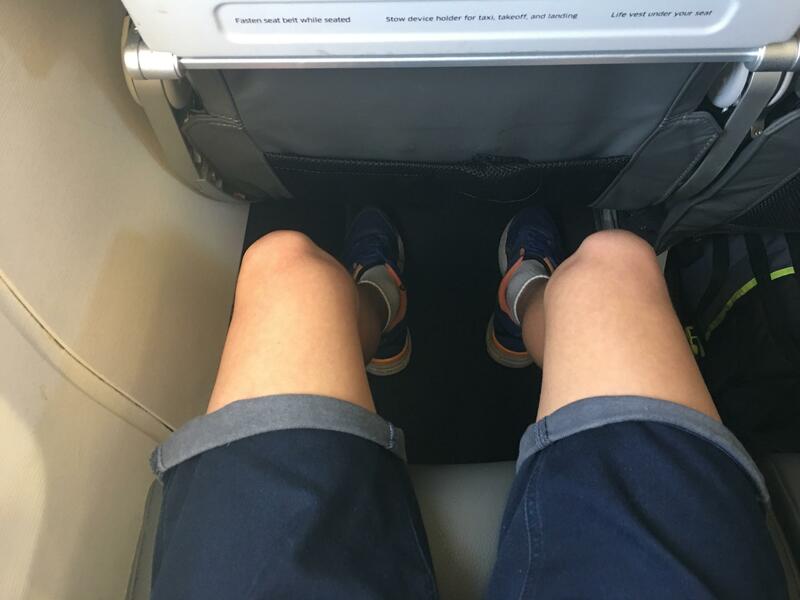 I found the legroom to be very generous for a low-cost carrier; I had about 8cm of legroom in my standard seat, 12A (I am 178cm tall). 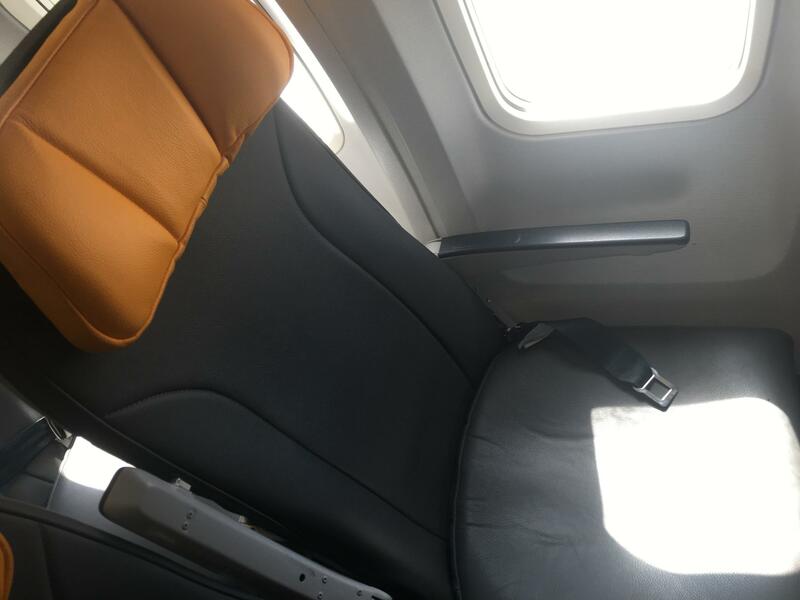 The seat is well designed in that it has a magazine holder at the top, which contains the safety card, menu, Tigerair magazine and airsickness bag. This helps to both maximise legroom and storage space. The seat also features a phone holder at the top, which is convenient for watching movies. This also keeps the tray table free when eating. 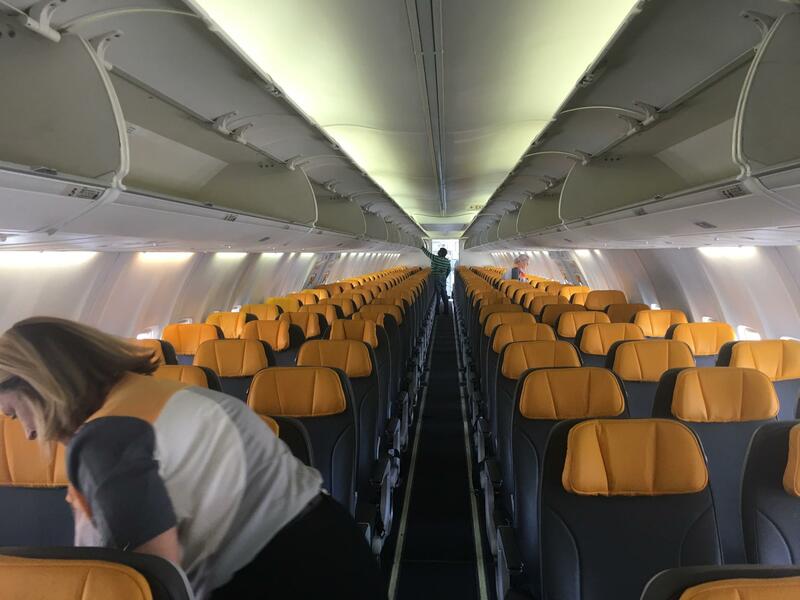 Most of the standard economy seats are basically the same, however avoid rows 25-29, as they have less pitch at 28″. Standard seat selection is an optional extra, and for my flight it cost me $5. 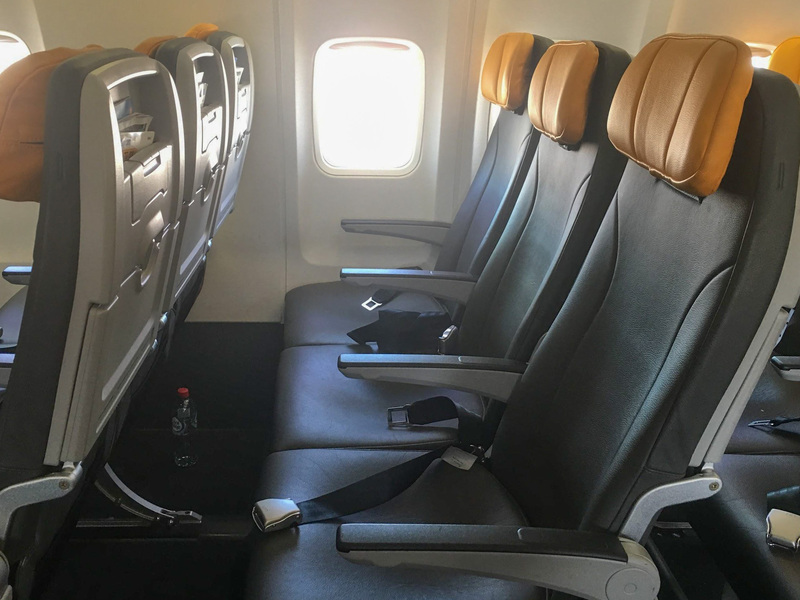 Tigerair sell extra legroom and upfront seats which cost $21 and $10 respectively. The extra legroom seats could be a nice upgrade if you are tall, however, upfront seats are not worth it in my opinion. 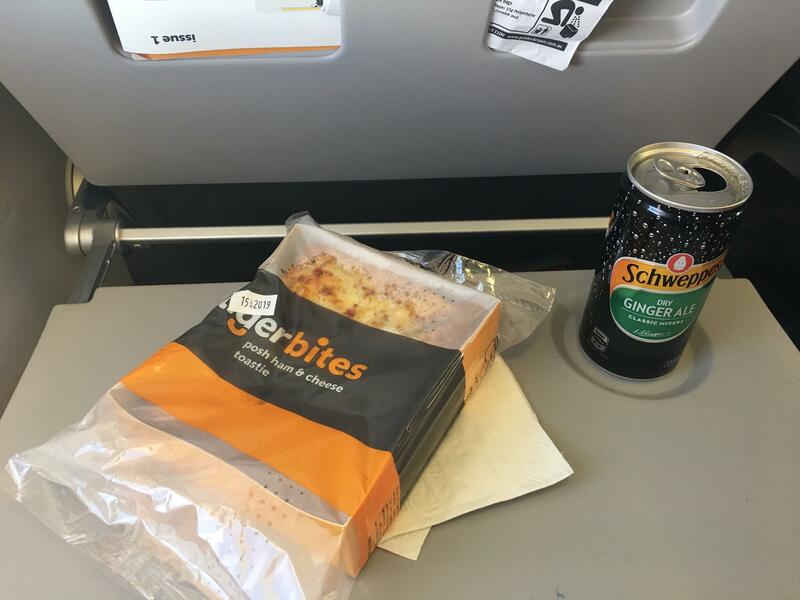 No complimentary food and drink is offered with Tigerair, however, you do have the option of purchasing items from the menu. There is plenty to choose from on the menu, at prices that are affordable albeit not a bargain. I chose to purchase a “posh ham and cheese toastie” and a dry ginger ale for $12. Unfortunately, the crew forgot about my meal, however they brought it out about 20min before landing after I had reminded them. The toastie was nice but the dry ginger ale was warm. 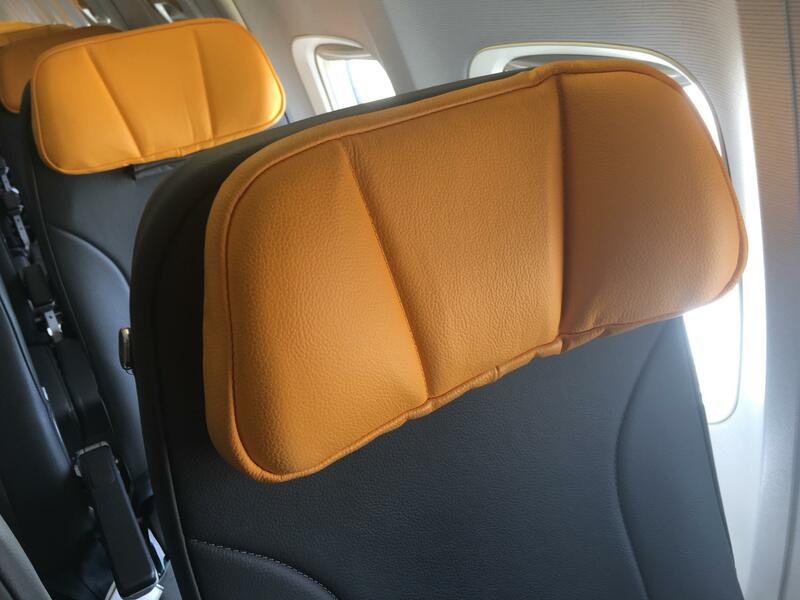 There is no inflight entertainment offered on Tigerair. You can use your Velocity points to book Tigerair flights. The required points is calculated based on ticket cost, meaning selecting a different flight could save you thousands of points. When researching for this overview, I found a flight from Hobart to Melbourne for 18,454 Velocity points (or $120) whereas another flight on the same route was 7,993 points (or $52). In comparison, a standard Virgin Australia redemption for this route costs 11,800 velocity points, regardless of the cash price. 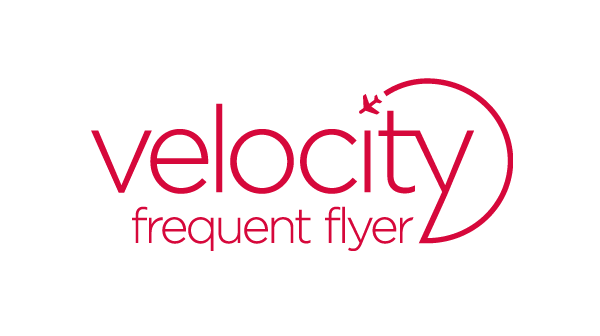 To find how many velocity points a flight will cost simply click on the Velocity frequent flyer logo at the ‘checkout’ page. You can then login to your velocity account and pay using points. Overall, I enjoyed my flight with Tigerair. The legroom was far better than what I had expected, the seat was well designed and the crew were friendly. 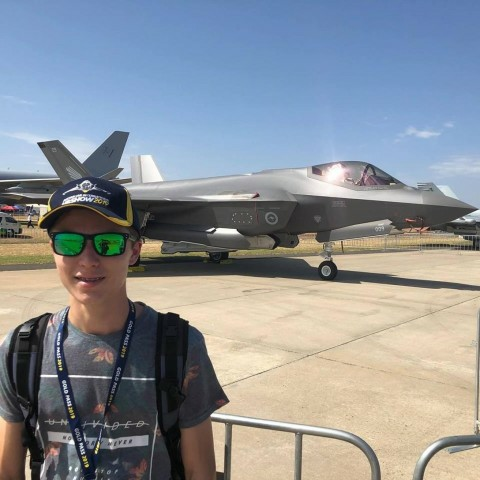 Tom is a Hobart-based college student who loves all things aviation. He enjoys collecting frequent flyer points and experiencing new airlines. Tom wishes to help others maximise their points so they can experience premium airline travel. You can see more of Tom's travels on Instagram. Lucky your flight flew Tom! I think Tigerair is the most unreliable carrier operating in Australia. It’s literally a lottery as to whether you’ll get the flight you paid for on the day you want. I now avoid them at all costs. Thanks for your comment Missy. You’re right, in 2018 Tigerair had the worst performance in terms of on-time arrivals, on-time departures and cancellations out of all Australian carriers (according to BITRE, 2018). LCC’s are known to schedule less turnaround time between flights in order to offer lower fares. This is why I often try to get an early flight as they are less likely to be delayed.